General Rosecrans takes General James Negley to task for abandoning his line along Brotherton Field without first being relieved by another unit. The brigades of Stanley and Sirwell return to their works at the western edge of the field. 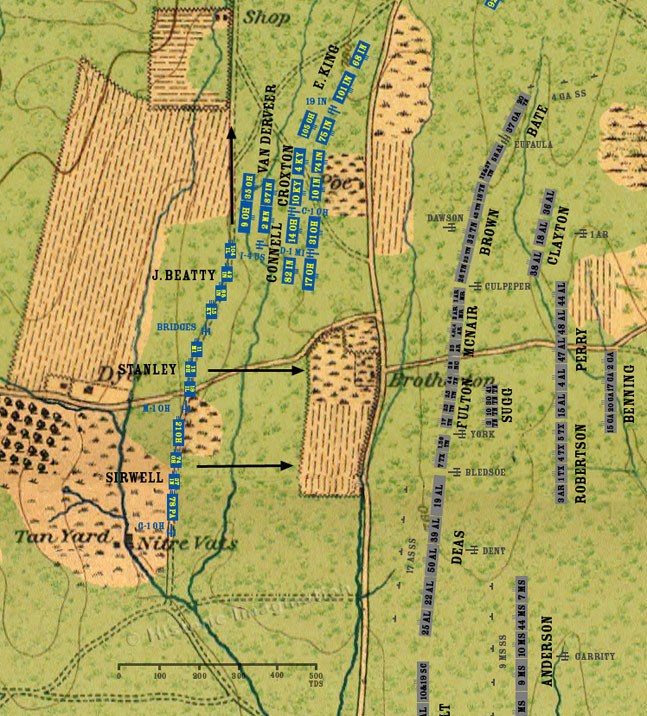 Beatty’s brigade is ordered to continue north to Thomas’ aid.